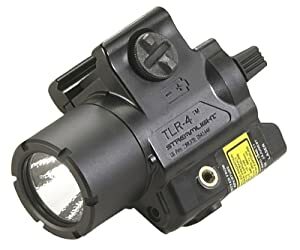 As a tactical weapon and self-defense weapon, many AR15 for home defense and patrol duties have been fit with lights to improve its ability to execute these duties. There could be reasonably argued that lights are as much a requirement as a loaded magazine if you want to keep an AR15 for home defense or law enforcement practices. 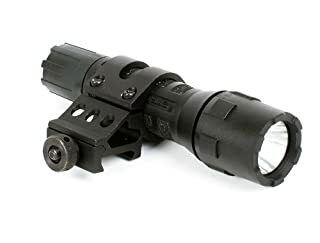 With the sheer amount of tactical flashlight for AR15 available in the market right now, could you know which lights will most likely to be suitable? 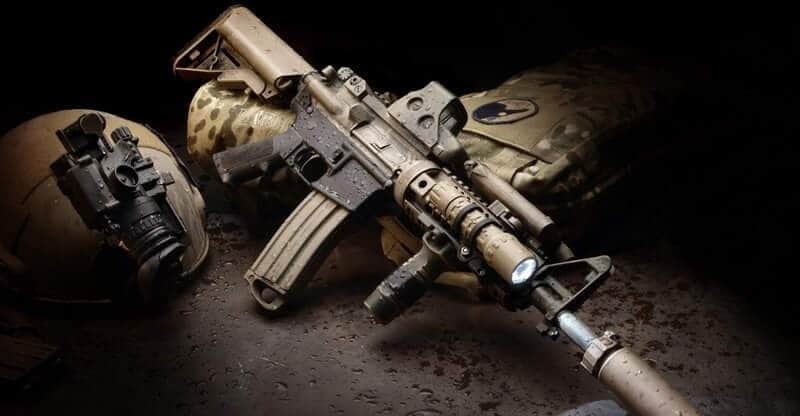 After in-depth analysis and research thousands of products in the market, we come up with five names that could be the best tactical flashlight for AR15. How to Choice Best Tactical Flashlight For AR15? After in-depth analysis and research thousands of products in the market, we come up with five names that could be the best choice for you. 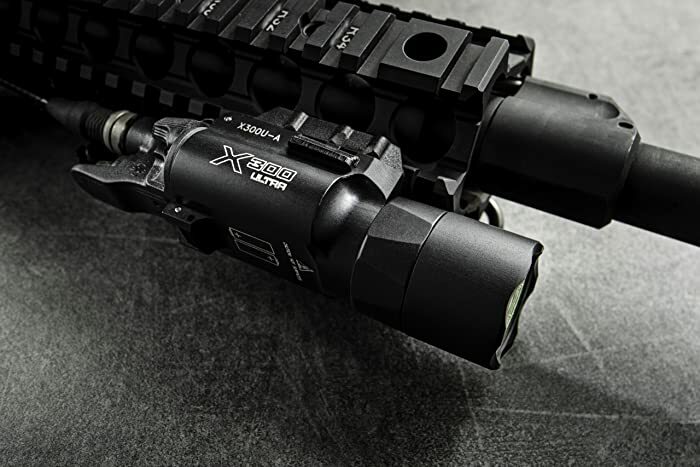 Affordable but still bright and sturdy, Streamlight Polytac LED Flashlight is designed for the broadest range of lighting applications at the best value and would be a great upgrade for your AR15. It has a superior grip texture for a comfortable but slip-resistant feel which makes it easy to hold on especially for the wet or sweaty hand. The mount is easy to finish, and it firmly holds onto the rail. It has zero problems after I finished my shooting test with approximately 200 rounds in a row. The light has a light aluminum body with a polymer covering on. It has rubber emblems on the bezel and the tail cap, but the most important components are inside. The tail cap has a spring for the negative terminal of the battery, but it is relatively small. Surrounding the spring is rubber, fan fold gasket. The gasket is part of the suspension as it’s not meant to keep any liquid out, but it does add an extra level of firmness to stop the batteries from moving. Using C4® LED technology within a parabolic reflector produces a concentrated beam with optimum peripheral illumination TEN-TAP® Programming, this model Streamlight is extremely bright and could light up your backyard like daylight. It has three settings on the control including high, low and strobe which are pretty disorienting when you kick it on. The quality of the light could compare with many others costing much more like Surefire. I strongly recommend this light to anyone looking for an excellent light without breaking the bank. Another economically priced product for the tactical flashlight, the InForce APL Pistol Mounted can work well not only with your pistol but also AR15. The light switching system is completely original, which includes of 2 large paddles ; one on each side of the light which flank the trigger guard when installing onto your guns. The paddles are large and easy to activate. The users only need to lightly press these paddles inward to start the light. It has a shut-off feature to deactivates the switches by turning the face of the light a quarter turn. It is perfect for those who want to gear jostling around the bag or move their firearms in a range bag with other weapons. As for the switches themselves, they are paddle-style switches on either side of the trigger guard making it easier to activate than some of the toggle-style switches on other lights. This flashlight came set up to attach directly to 1913 Picatinny rails and can also be configured to attach to universal rails available in the market after removing a small adaptor piece from the mounting surface. It runs on only one battery, which reduces the size but also reduces runtime to about 1.5 hours. 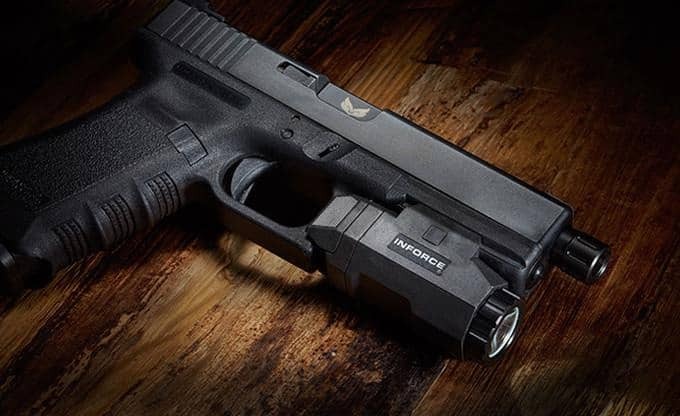 The InForce APL provides 200-lumen beam, which is more than adequate for proper acquisition in low or no light situations; bright enough to see your target and get an excellent sight picture, but not so bright to blind you or ruin your night vision. This device is also very light. When mounting to your AR15, you would barely notice the difference in weight. 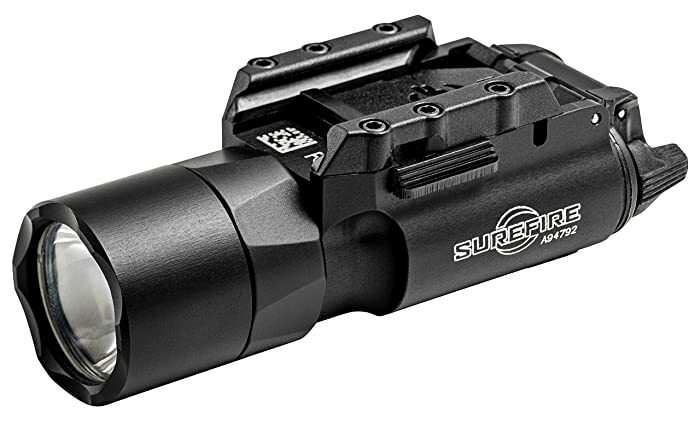 There are a lot of good things to review when talking about Surefire X300, but overall it is narrowed down to two unique features. The first is most notable when you turn on the light; the X300 pits out a tremendous amount of light, which is measured around 500 lumens. This excellent light created by a LED, which becomes the standard for flashlight right now. The LED bulb is very durable and difficult to break during normal usage condition. The second one is the side-by-side compartment of the battery. In order to produce the staggering spot, the x300 needs two 123A batteries. The result is a wider light making the guns larger than others making holstering the X300 more difficult. The X300 measures 1.3”wide and 3.6” long. It weighs 4 ounces with batteries installed. The two 123A batteries will keep the light operating for an hour and a half. If using the light judiciously, it could operate for a longer time. The light supports both right-handed and left-handed users. The toggle switch is placed right at the tip of your index finger making switching on and off easy and can be done with the same finger, or with the thumb of the support hand. The light comes with a spring loaded clip and with a solid rail mount supporting both Picatinny rails and universal rails. The light is very solid and durable, it can hold through anything. Ease of installation is also one of its benefits; you can mount the product without any tools required. The light weighted at 3.0 ounce (85g). 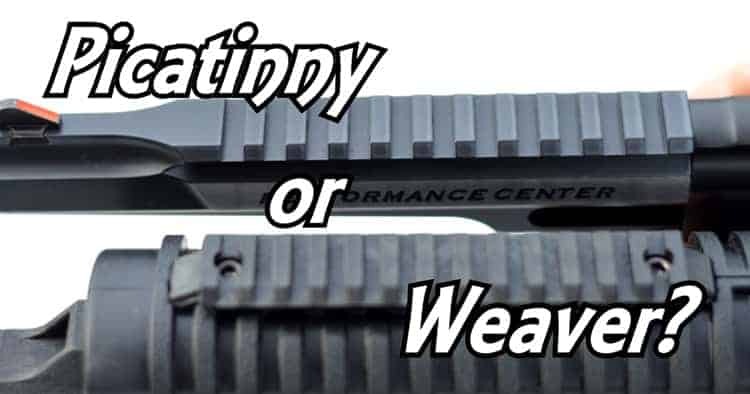 This lightweight product is designed for compact pistols but still works in combination with any rifle or shotgun having Picatinny rails. The TLR-4G also comes with “rail keys” (six plastic mounting adapters) which allow you to get a custom fit to adjust various guns. Controls are easy to understand and initiate. The light features metal toggle switch which enables users to choose between three operational selections: light-only, laser-only, and light and laser. Also, there is a larger 3-position paddle allowing the users to choose – constant-on, momentary-on, and off. The white light is measured at 115 lumens, which is considerably standard for tactical flashlights. The light only operates on a single CR2 lithium battery. It could operate at full power in the light and laser mode for 75 minutes and will gradually decline in intensity in the next 15 minutes according to the manufacturer. If using only the laser, the battery should last for an hour. The light will begin to rapidly dim as the battery reaches the end of its charge and will give you a warning before it shut down. There are plenty of brighter weapon lights out there, but they can not compare to the TLR-2 HL’s size and weight. It weighs a bit under 5 ounces and measures 3.4″ long, 1.5″ wide, and 1.8″ tall. Its strength also is a plus when operating. The main body is manufactured aluminum with a high-impact plastic laser module, the lens is shatterproof, the mounting clamp is bomb-proof, and the whole unit is IXP4 water resistant. The heart of the TLR-2 is a Cree C4 LED emitter pumping out a dazzling 630 lumens. Unlike the old Tungsten–filament Xenon bulbs which are easy to break their filaments under recoil or heat themselves and have lifespans around thousands of hour. The TLR-2 HL LED promises to last for 50,000 hours as well as providing the 630 lumens beam, which could turn night into garishly illuminated day. 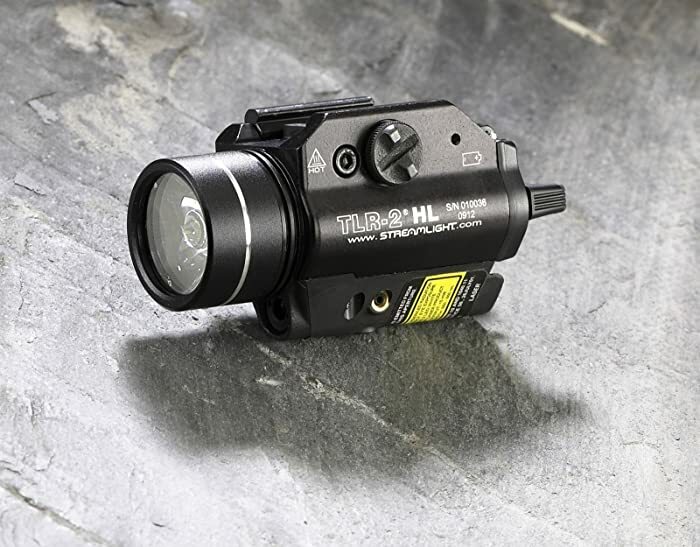 The TRR-2 light and laser functions are monitored by a protected 3-way toggle switch and paddle that support both right-handed and left-handed users. The paddle detents clockwise for constant-on illumination and rocks counterclockwise for a momentary on/off. To activate the strobe effect, a quick double-tap on the momentary paddle can do the job. The partly-shielded toggle switch allows you to choose between light, laser or combination settings. This model of Streamlight is powered by tandem CR-123 batteries and advertised a 1.25 hour operation time for the main light. The decision to choose whether or not a particular tactical flashlight model is suitable will be based on specific features of them, but what are the key features of the best tactical flashlight for you? There are 6 features listed down here, you need to consider before open your pocket to purchase ones. While quality is always the first things many people consider for the best tactical flashlight, its price should be valued the same as more quality means much higher price. The price of the flashlight will be fluctuated based on its specification and material. Therefore, considering and compromising between what flashlight specification you want and your budget is vital when choosing a tactical flashlight for your AR15. Attaching the flashlight onto your AR15 will affect the whole guns size and weight . It is crucial that you choose the flashlight based on your practice with the AR15. If you focus on the action on the move, the lightweight and versatile flashlight seems suitable, or you can pick up a heavy and sturdy ones if you usually patrol in tough condition. Choosing what level of the beam provided by the lights need to be one of the first things in your mind when coming up to purchasing them as the light beam indicate how bright the flashlight can offer. Some of the flashlight can reach 500 – 600 lumens but 100 – 200 lumens are adequate level of beam for a practical flashlight. Using 500 – 600 lumens beam flashlight can light up your path better in the dark; however, it could temporarily blind someone if not using carefully. The different in operation duration of the flashlight depends on the batteries itself and the intensity level of the light beam. The higher the intensity of the light beam, the more power it takes from the batteries making the lights run out quickly. Depends on your personal usage you should figure out the duration you want to use your flashlight daily. Adjusting that into choosing the right flashlight that could last long enough for your activities. You can not consider a flashlight work properly if its control is difficult to use and messy. Ease of control should be in top of the checklist when finding a flashlight as many of them offer different operation mode. Switching between these mode is part of the daily usage of the flash light, thus the more easy it get the better the flashlight are. You also need to make sure the light will fit with the mounting style of your firearms. Most of the flashlights can fit all mounting systems, but there is still ones that only can fit Picatinny-style mounting. Choosing the best tactical flashlight seems to be a difficult task, but it will be easier if you can match the specification you want from a flashlight and your own budget. Be a wise consumer by equipping yourself the information and knowledge about tactical flashlight before deciding to buy one of them.